A shop aiming to showcase the best new street food traders and food start-ups has launched in Covent Garden. Startisans is run by the team behind Shepherds Markets, which runs more than 20 regular food markets across London. It is open from 8am - 3pm every weekday, and hosts 15 traders at any one time, with the focus on newcomers. Those currently residing include Simply Handmade Chocolates, macarons from Comptoir Gourmand, raw honey from Bee Happier, and Deeney’s who are serving haggis toasties. Down the line, the plan is to extend opening hours and introduce evening wine tastings. The large site on the corner of Charing Cross Road and Shaftesbury Avenue which used to be Pizza Hut has been bought by the team behind Soho restaurant Bocca di Lupo. Chef Jacob Kenedy and GM Victor Hugo will take over the two-storey site, with plans to make it "boisterous, accessible, affordable and utterly delicious". The as-yet-unnamed restaurant is due to open in spring next year. London will gain an outpost of much-loved Paris brasserie and wine bar Les 110 de Taillevent in the first half of next year. It will be the first international offshoot of the original near the Champs-Elysées, which is itself a spin-off from the city’s two-Michelin starred Taillevent that opened back in 1946. 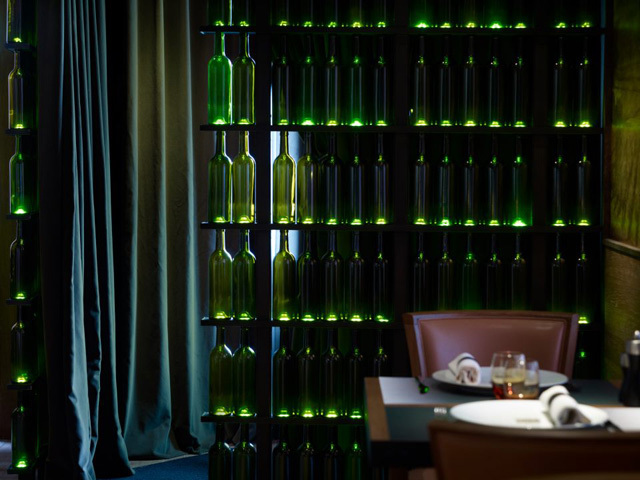 The restaurant is so-called as it offers a whopping 110 wines by the glass, as it’s expected to in London. The original also takes wine matching very seriously, offering four different paired wines at different price points for each of the 30-plus dishes. A location for the London opening has not yet been revealed. With the continued escalation of London’s craft beer scene, ‘meet the brewer’ events are becoming more and more common. However if you’re interested in beer but tired of hearing about the latest hipster microbrewery startup, you might want to pop along to the Finborough Arms in West Brompton next Wednesday evening (19 November), where the head brewer at Lombardy’s Birrificio Italiano brewery, Agostino Arioli, is presenting six of the brewery’s beers on tap, paired with cheeses of his choosing. Over the last few years Italian craft beer has been making waves among those in the know, although Birrificio Italiano is no flash in the pan — the brewery started up 17 years ago and is considered something of a pioneer, preceding the recent craft beer trend by many years. Agostino will speak at 7.45pm; the event is not ticketed, so just turn up and enjoy. If you’ve ever wanted to take a bite of Boris, this is the news you’ve been waiting for: the Boris Bagel has arrived. It comes from East End salmon smokery Forman and Field, and contains the fish along with chive-flavoured cream cheese in a Brick Lane bagel. It’s currently available at the brand’s pop-up shop in the Selfridges Food Hall and came about after the Mayor was quoted saying: “There is nothing better than a Forman’s salmon bagel. Absolutely delicious”. The bagels cost £3.95 each, and you can also order six online for £17.95. 10p from each bagel goes to The Mayor’s Fund For London. This week has marked the opening of One Two Five Church Street in Stoke Newington, serving coffee and cake by day and beers and American-style sandwiches by night, and Ristorante Frescobaldi in Mayfair, the plush outpost of a Tuscan restaurant owned by a wealthy wine family. Tomorrow sees new pub Radicals & Victuallers open on Upper Street in what was formerly O’Neil’s, and The Grill at The Dorchester will also re-open after an overhaul.